Oops... Product was not found! 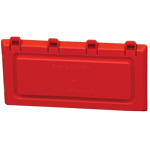 Rytons 9X3 Damryt Air Brick Protector - Buff-Sand has probably been removed or is no longer available.